Let’s correct this article’s title straight away: Visionary Comics is no more. Not because it’s been buried somewhere in the deadlands, but because ‘Comics’ are just a part of the full range of projects the Maryland-based company is focusing on moving forward. Founded 10 years ago by C.Edward ‘Chuck’ Sellner, Visionary is now offering various creative services including adult and children’s books, corporate branding, concept and design. Comics play a key part still, though, highlighted by the recent additions of industry veterans Jeff Mariotte and Andy Smith as Editor-in-Chief and Art Director respectively. Here, both gentlemen discuss the road that led them to Visionary and their plans to shape the future of the company. How did you end up in your newly minted roles at Visionary? JEFF MARIOTTE: My road through the comics business has been a long one, so I’ll give the condensed version. I was the 12th person hired at Jim Lee’s WildStorm Productions (well before it had that name, in fact), and worked my way up to be VP of Marketing, as well as writing most of the WildStorm characters at one point or another. As a member of the management team, I helped build the business to the point that DC Comics acquired it. At that time, I became a Senior Editor (editorial staff could also write freelance, but executives couldn’t, so they kindly offered me that option). 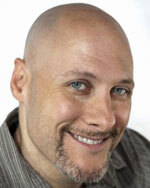 After a few years, I left to become IDW Publishing’s first Editor-in-Chief. I left that position to become a full-time freelancer, mostly writing, but also doing some freelance editorial/publishing consultant work. I was first approached by Visionary to write a story based on the Deadlands RPG, for an anthology that never came about. Then they asked me to write a quick Deadlands comic book issue, to fill in for a writer who’d had to drop out. 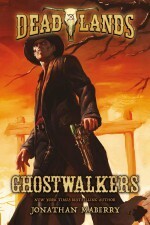 That story, “Black Water,” is part of the Deadlands: Dead Man’s Hand trade paperback. 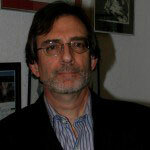 Throughout this process I became acquainted with C. Edward “Chuck” Sellner, Visionary’s CCO, and discovered that not only did we share a lot of interests, but that he was one of the smartest, most thoughtful, and most honest people in the industry—the kind of person I like to be in business with. I offered some advice based on my years in the industry, then went out and shopped the Deadlands property to mainstream book publishers. We got a great offer from Tor Books, and so Visionary Books was born, co-publishing three Deadlands novels with Tor. 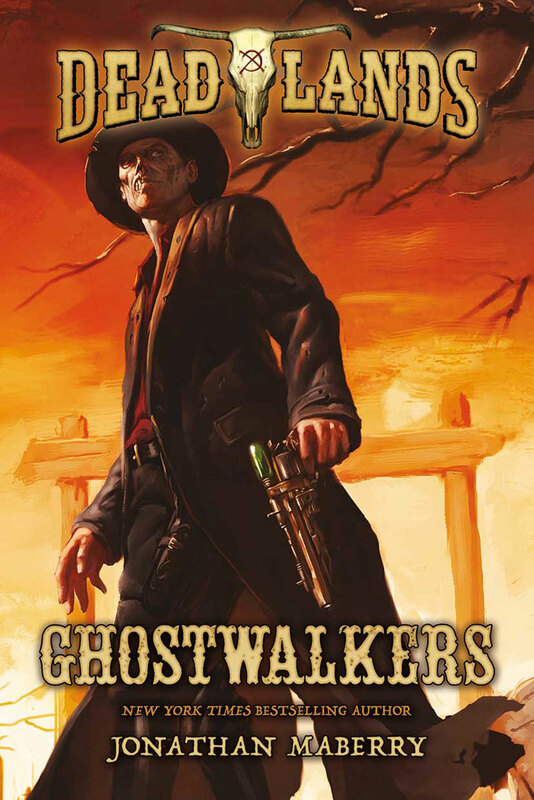 The first, Jonathan Maberry’s Deadlands: Ghostwalkers, came out in September, to great reviews. My novel, Deadlands: Thunder Moon Rising, will be along in 2016, followed by Seanan McGuire’s Deadlands: Boneyard in 2017. We started talking about formalizing the relationship after that, and just recently announced the arrangement we came up with. I’m Editor-in-Chief of the overall Visionary brand, division chief of Visionary Books, and a corporate partner. I couldn’t be more honored and hope I live up to the trust they’ve placed in me. ANDY SMITH: I started in comics almost 25 years ago. I got my first work when I was in my last year at the Kubert School: an inventory issue of Suicide Squad for DC Comics. From there I went on to more work for DC and eventually Marvel and Image. In 1993 Bart Sears started up Ominous Studios and asked me to be the Art Director for the company. While it was short-lived I learned a lot there about comic book production and working with other artists in-house. I was still doing freelance work as well while there. Fast forward to CrossGen Comics where I was hired as an artist but then took on art-directing duties with Bart Sears as the lead Art Director. My main job was to work with freelancers that we would hire for fill-in issues and such. I also met with the other assistant art directors on a regular basis to oversee the general look of the books. I’ve written two books on comics as well: “Drawing Dynamic Comics” in 2000 and “Drawing American-Manga Superheroes” in 2007, both published by Watson-Guptil. When that company folded I went back to freelance and then a couple years ago Chuck Sellner approached me about drawing a project for Visionary, but because of conflicting schedules I couldn’t take it on. A few weeks ago, he reached out to me asking if I would like to be part of his expanding Visionary team as the company’s Art Director. He laid out the current and future plans of where he wants to take the company and it sounded very exciting. I’ve always liked doing art-directing/editorial type stuff and this seemed like the perfect opportunity and a great jumping on point to be with the company. What can you tell us at this point about the new projects coming from Visionary next year? We’ll be offering up some other weird western material, including the first-ever digital publication of a series that is particularly close to my heart, and new material as well. My son David and I have a series called Slate we’re working up with artist Sean Lee. And Chuck has some fantastic stuff in the works, but I’ll let him talk about that when he’s ready. As for outside creators, we’re starting to ramp up that process, and we’ll be making announcements periodically. What is your prime focus in shaping the Visionary Comics line going forward? MARIOTTE: My goal is the same as it’s been at every company I’ve worked for—to put out the best possible comics and books, to work with creators to tell the stories they want to tell, and to make sure those stories are worth telling. I love stories, in whatever medium, that are entertaining and enthralling, that bring the reader or viewer into a world she has never visited before and where she wants to stay (even after the tale is over) and that have something to say. Story is a defining element of humanity—we ceased to be pre-human or proto-human, I think, when we developed the ability to tell and understand stories—and that responsibility is always paramount to me. SMITH: It’ really the same focus that I try and instill in all my freelance work and that is to produce great looking art for the stories and projects Visionary will be producing. We want to produce original content with some of the best talent we can find or that come to us with their projects. How are you going about selecting books and creators? SMITH: Content, content, content and originality of course. We are going to be looking for projects that we think are exciting and that hopefully the public will too. With the diversity that is in comic book publishing now there is really nothing that is off limits. The genres are wide open so we are open to looking at any type of story and my role will be matching up the best possible artist for the story. The talent pool in comics in this current market is better than ever, whether it be seasoned veteran creators or new talent. Our doors are open to look at what suits the project best. MARIOTTE: We’ve been working on that over the past couple of weeks, and will continue to, going forward. Basically, we want to achieve the goals I mentioned above, so we’re looking for projects that meet that standard. We’re willing to work with established creators and new ones. There’s not much in the business more fulfilling than helping young creators learn and improve their craft (although there’s great pleasure in working with the established masters, too). I’ve edited Alan Moore and I’ve written a miniseries drawn by John Severin, for instance, both career high points, but I’ve also helped introduce artists like John Cassaday, Igor Kordey, and Szymon Kudranski to the wider world, and that’s always a thrill. Overall, what do you consider to be Visionary’s main opportunities that you intend to capitalize on? SMITH: I really like the fact that we aren’t just about producing comics but we are open to all types of material, children’s books, original graphic novels, digital content and so on. We have a great team of people that Chuck has assembled to make all of this happen. 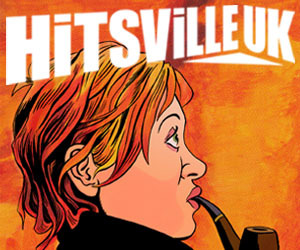 MARIOTTE: Visionary was a leader in the digital comics revolution—a revolution I was, admittedly, slow to catch on to. The company has the technical knowhow, a brilliant staff, and the infrastructure to do just about anything necessary to create great comics for the 21st century. With Visionary Books, we can take that experience and…well, vision…into other areas, and publish prose fiction as well as comics. And leveraging the talents and network of the people we’re connected to throughout every facet of the entertainment industry, we’re looking at opportunities for transmedia development—telling stories any way and every way that makes sense. It’s a new world, and Visionary is poised to make the most of it. We can’t wait to show what we’re capable of. For more information, visit visionarycomics.com.